A bank statement form is a financial statement which declares the current account statistics of an individual or an organization. This form is prepared by the bank and sent to the depositor to show transactions in the account. These records are compiled by bank to show items like balance and activity within an individual’s account. This form contains information as to name and address of the bank, name and address of the account holder, account number, statement number, and number of pages, a record of all debit and credit transactions, interest earned if any, service charges and penalties charged against the account and the amount of money left in the account called the balance. This is a monthly form given by financial institutions and may include a beginning and end balance. Different financial institutions have varying methods of organizing bank statements. Below is a sample of Bank Statement form. 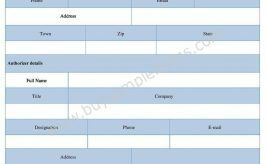 Use the printable Bank statement template available online. Download it either in MS Word or PDF format. Both MS Word and PDF format can be edited and customized as per your needs.